Historical and observed data required to generate the Water Resources Streamflow Outlook forecasts is provided by the USGS and USACE. Forecasts are provided by the National Weather Service. The graphic above shows 30-day streamflow outlook within the Ohio Valley for the 1- to 30-day period for the points plotted. These steamflow forecasts are based on the National Weather Service's River Forecast System Ensemble Streamflow Prediction Model. The forecasts combine current soil moisture states using the Sacramento Soil Moisture Accounting hydrologic model with short-term rainfall forecasts from the National Weather Service's Ohio River Forecast Center and Hydrometeorological Prediction Center and long term climate forecasts from the Climate Prediction Center out to 90 days. The forecasts are broken in percentile categories based on USGS flows for that time of year. The five categories are < 10 percent, 10-24 percent, 25-75 percent, 76-90 percent and > 90 percent. This equates to much below, below, average, above, and much above average streamflows. This product is part of the NOAA/National Weather Service Ohio River Forecast Center's ongoing effort to improve service to the public through timely issuances of streamflow outlooks. This product would not be possible without the cooperation between the partnership between the National Weather Service (NWS), United States Geological Survey (USGS) and United States Army Corp. of Engineers (USACE). 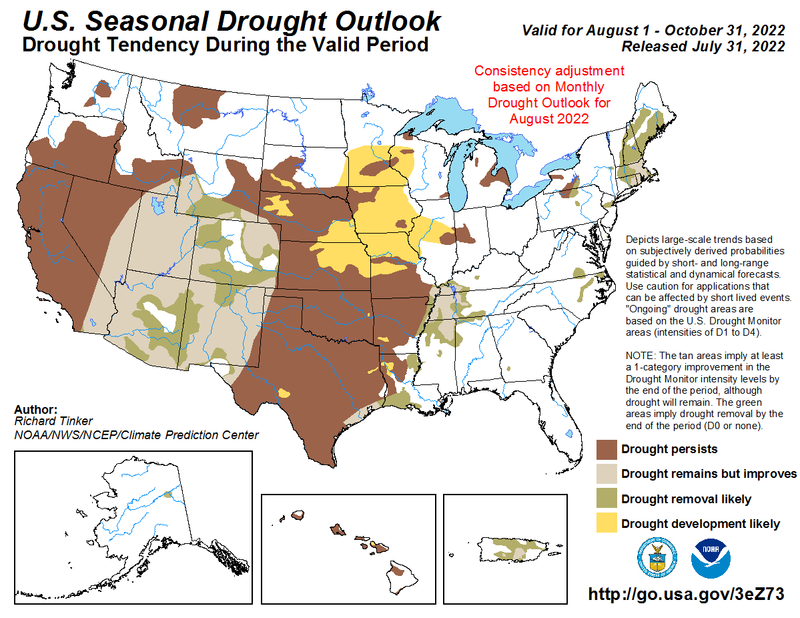 The Ohio River Forecast Center's Water Resources Outlook is intended to provide long-term hydrometeorological information relevant to river systems throughout the Ohio Valley. These outlooks are updated at the end of each month unless a major change in the forecast is needed in which case the update is event-based.